The short answer is no – but the more observant among you may have noticed that pictures of our bears often reveal missing patches of fur. The bears aren’t balding and it’s not an illness – in fact it’s linked to their own wellbeing. We spoke to our vet team to find out what it’s all about. 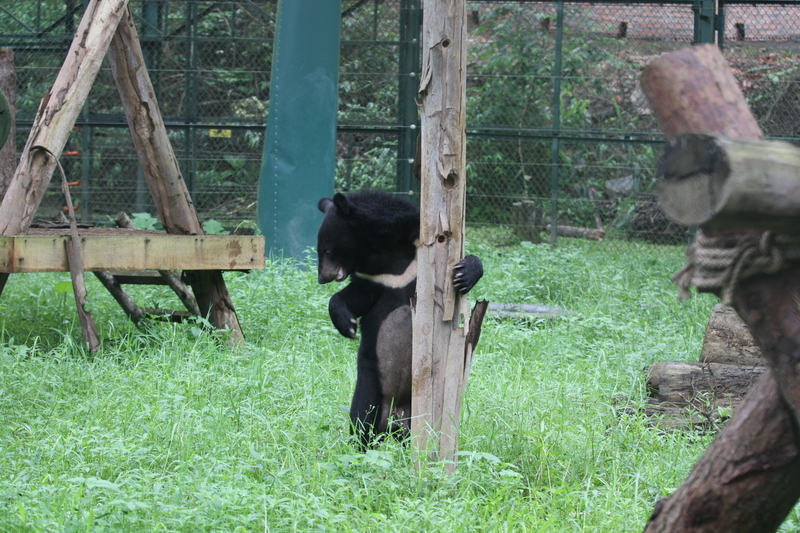 Every two years, bears at our sanctuaries in China and Vietnam will undergo a health check. Such regular checks are absolutely necessary for former bile-farmed bears who typically suffer a variety of debilitating health issues. 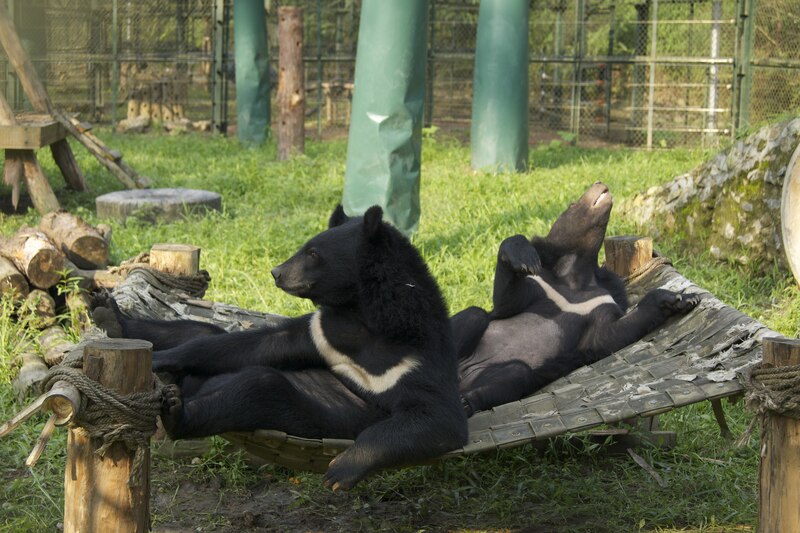 Direct contact to skin beneath the fur, requires that patches of the bears’ thick coats are shaved. During a check, the neck, abdomen and arm are typically clipped. Years of living in cages and enduring bile extraction causes illnesses such as tumors, arthritis and high blood pressure. But these are far from the limits of a bears’ health check. 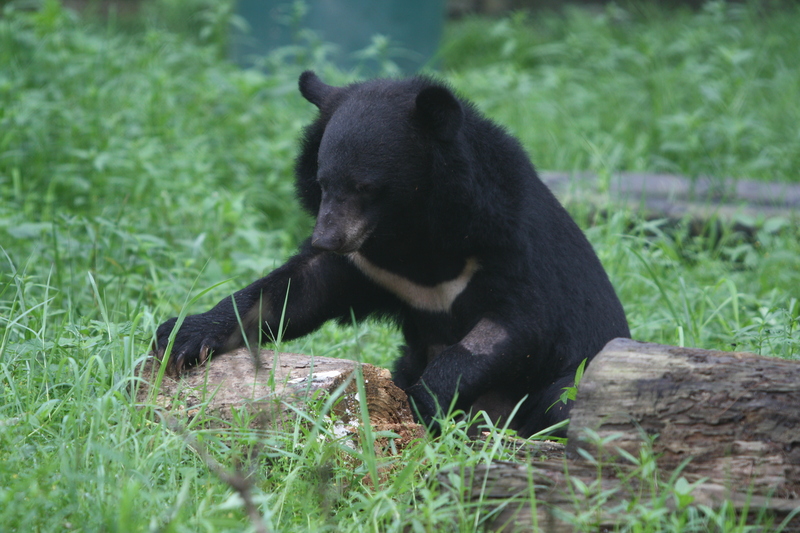 As was seen in the recent scare during Ti Map’s rescue, anaesthesia always carries a small risk which is why younger healthy bears, which have been confiscated before bile extraction, may not receive a health check every two years. While the drugs have been used safely in bears for many years, there may always be an unknown underlying health condition in the bear, or an individual sensitivity to the drug.